Does visiting your dentist for preventive care seem like a hassle? Are you just too busy? 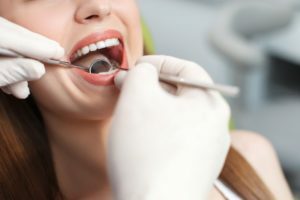 Your dentist in Long Island City says it should be a priority, and as you continue reading, he explains why keeping these appointments are so important and what can happen when you fail to take heed to this advice. What Happens at Preventive Care Visits? Cleanings – The dental hygienist will get things going by providing you with a thorough cleaning. This is important because it will clear away plaque and tartar that can’t be addressed with normal oral hygiene. Examinations – Along with the cleaning, you’ll also receive expert examinations from the keen eyes of both the dental assistant and the dentist. The combination of the two will identify any developing oral issues like cavities and gum disease, and will make sure that there are no signs of oral cancer or jaw alignment issues. Consultation – Just as valuable as the previously mentioned two activities is the time you’ll have to talk to both your hygienist and dentist. This will be your opportunity to ask questions and receive expert advice. What Happens When You Skip Visits? Cavities – The primary nemesis of a healthy oral cavity is the bacterium. It scurries to leftover food particles from a meal or the consumption of beverages other than water and feed on them. If not removed, the bacterium releases acids that bore into your teeth and cause cavities – small holes – to develop. Gum Disease – Untreated cavities don’t stop their destructive path there. They continue to move if not addressed and can eventually lead to gum disease. This is the irritation, inflammation and infection of your gums. Chronic Bad Breath – As bacteria accumulate in the mouth, they can lead to a condition called dry mouth, where there is less generation of saliva than normal. This creates a breeding ground for bacteria to grow and leads to unpleasant odors. Gum Recession – Poor oral hygiene and negligence can also lead to gum recession. This happens when bacteria infiltrate the gums and cause the tissue to contract and pull away from the roots of the teeth. As a result, the teeth are more susceptible to infection and dislodging. How Can I Take Advantage of Preventive Care Visits? There are no hoops that you have to jump through to visit your local dentist. Simply reach out to one of the friendly staff members at LIC Dental Associates, so you can be scheduled for your first appointment. Soon, you’ll have the confidence of knowing that your oral cavity is as healthy as possible. Dr. Ishwinder Saran earned his dental degree from Boston University Goldman School of Dental Medicine. He prides himself in taking a completely customized approach to each patient’s needs to ensure the absolute best care. Patients benefit from Dr. Saran’s advanced training in multiple disciplines and the preventive care he provides at LIC Dental Associates. He can be reached for more information through his website.